They first met on their way to a noho marae at Wairewa. 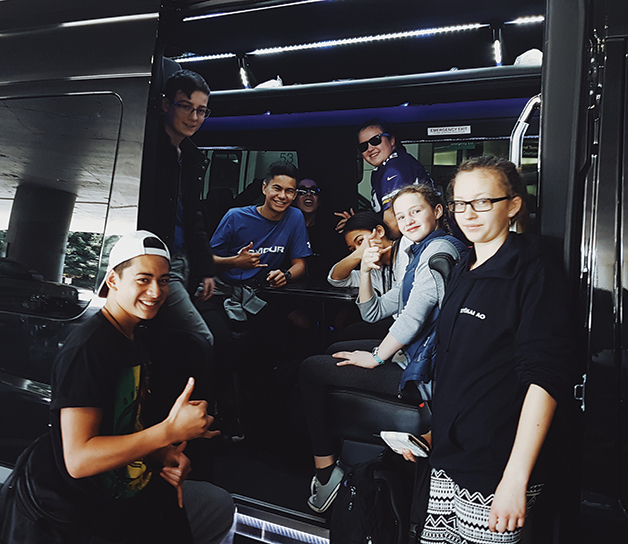 Ten Ngāi Tahu taiohi or rangatahi, preparing for the trip of a lifetime to Silicon Valley to hopefully become part of the next generation of Māori innovators, scientists, and entrepreneurs. They had been chosen from 69 applicants, by a panel of four including Te Rūnanga o Ngāi Tahu Chief Executive Arihia Bennett. 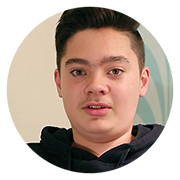 All applicants were asked to submit a video describing their objectives, and panel members were impressed by the desire of those chosen to contribute back to Ngāi Tahu. Above: Chilling under the Golden Gate bridge. On the van ride out to Wairewa Marae from the airport, they were heads down, ear phones on in some cases, not ready to make eye contact. That night and the following morning they were drilled in Ngāi Tahu waiata and haka by Gaynor Hakaria (Ngāi Tahu, Ngāti Porou, Ngāti Kahungunu, Te Whānau a Apanui) and Te Rau Winterburn (Ngāi Tahu, Ngāti Raukawa ki te Tonga, Ngāti Kahungunu), with the help of Corban Te Aika (Ngāi Tahu – Ngāi Tūāhuriri). 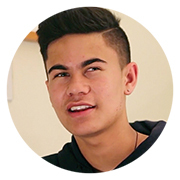 Gaynor and Te Rau, both teachers and fluent speakers of te reo Māori, would be supervisors or kaiāwhina on the trip, along with Madison Henry (Ngāi Tahu, Ngāti Māmoe, Waitaha, Ngāti Rarotonga), a Bluff boy who practises graphic design at Maui Studios, and Jess Templeton, who works part-time for Te Tapuae o Rehua while finishing a PhD in Māori Entrepreneurship. By the end of the weekend, the taiohi and their kaiāwhina were already like whānau. A few weeks later and they were on a flight to San Francisco. It is often said that travel broadens minds. The ten Ngāi Tahu taiohi and their kaiāwhina got the chance to test this as part of Āmua Ao, a design-thinking boot camp organised by Callaghan Innovation and the New Zealand Qualifications Authority (NZQA) with the aim of encouraging more Māori students to take STEM subjects (Science, Technology, Engineering, and Maths) in NCEA. Above: Hanging outside the Ames Research Centre. 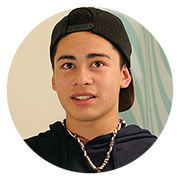 The Ngāi Tahu panel had been looking for innovative, creative thinkers and leaders, “and most importantly, taiohi with open minds and willing to learn from new experiences. The Ngāi Tahu rōpū, travelling as Te Pōkai Tara o te Ao, which literally means “a band of warriors of the world”, worked hard, with up to four sessions a day, from workshops on careers, entrepreneurship, and building growth mindsets, to finding out what makes Uber tick and why it has become one of the fastest-growing tech companies in history. 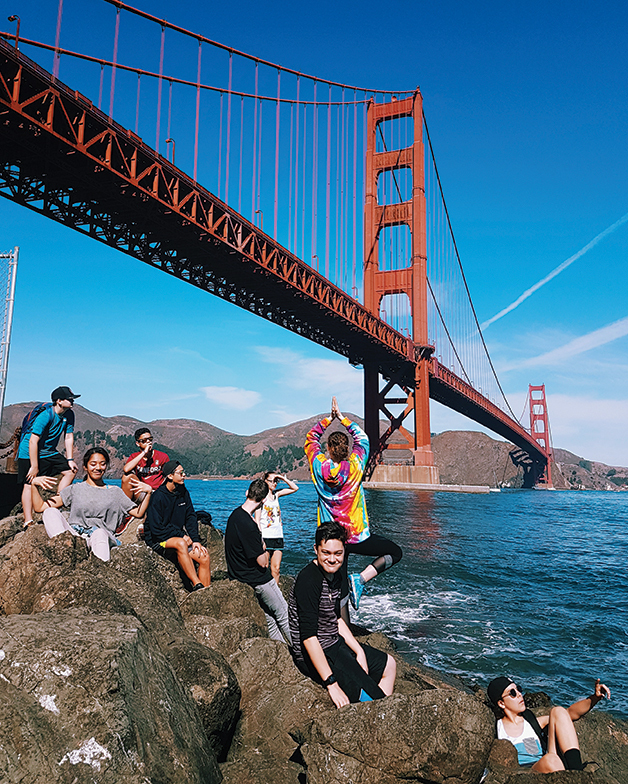 Above: Rolling in style, rangatahi arrive into San Francisco. It was an exciting haerenga, rated 10 out of 10 by our Pōkai Ao ambassadors who will help shape the future path. What impressed them most? 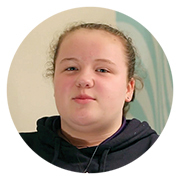 We asked some of the taiohi for their memories. We were given pounamu to koha to someone who inspired us. I gave my koha to Gary Bolles, the co-founder of eParachute, a San Francisco Bay Area-based startup focused on helping job-hunters and career changers. He helped me massively in understanding my interests and how I could make a living out of them. I had been wearing the pounamu before I gifted it to him, so it was as if I was giving him a piece of me and my essence. 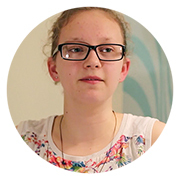 Maia Wikaira, who is studying environmental law at Stanford, opened my eyes to different possibilities. I had never contemplated studying overseas and I am now aspiring to do postgraduate study at a university like Stanford. A very important and special part of the trip for me was Hui Rakatahi at the end of each day where we passed round a pounamu and took turns talking about kā taero a Tūtekoropaka (our obstacles, barriers, and negatives for the day) and kā aho o tama-nui-te-ra (our positives and achievements for the day). The whole experience has helped me so much with understanding what I want to do. I am now more inspired and motivated to work hard in all my subjects and especially in STEM (Science, Technology, Engineering, and Maths) areas. This has been a life-changing experience. I am now even more proud and connected to my Ngāi Tahu roots and a goal of mine is to become a fluent speaker of te reo Māori. I made heaps of progress in my technological skills and I think some of te reo Māori being spoken rubbed off on me as well. It was an awesome way to learn and grow and it helped me figure out what I want to do later down the track, and that’s a cool feeling to have. The whole “we’re in America” buzz was so fantastic and I still haven’t gotten over it. At the noho marae we had got rid of the “I’m alone” feeling you get at the start of any group trip, and I found when we met again at the airport I was greeted with a hongi (and a hug in some cases) instead of the awkward “Hi” I received at the noho. 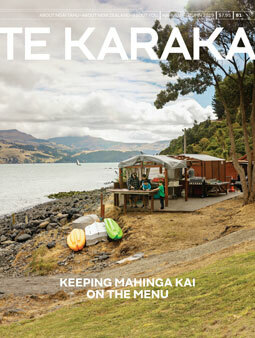 We rangatahi came from Auckland, Napier, Wellington, Christchurch, Dunedin, and Timaru. We met as strangers for the first time at our noho marae at Wairewa back in August, and have now become whānau. At the beginning of the trip, Ngāi Tahu gave each rangatahi a piece of pounamu to gift to someone whom we thought was an inspiration. I chose to gift my taonga to Graham because he really pushed all of us to go further than our mindset allows us to go! It was a life-changing experience and I owe it to Ngāi Tahu. What inspired me the most? Failure is good! Fail to the top! 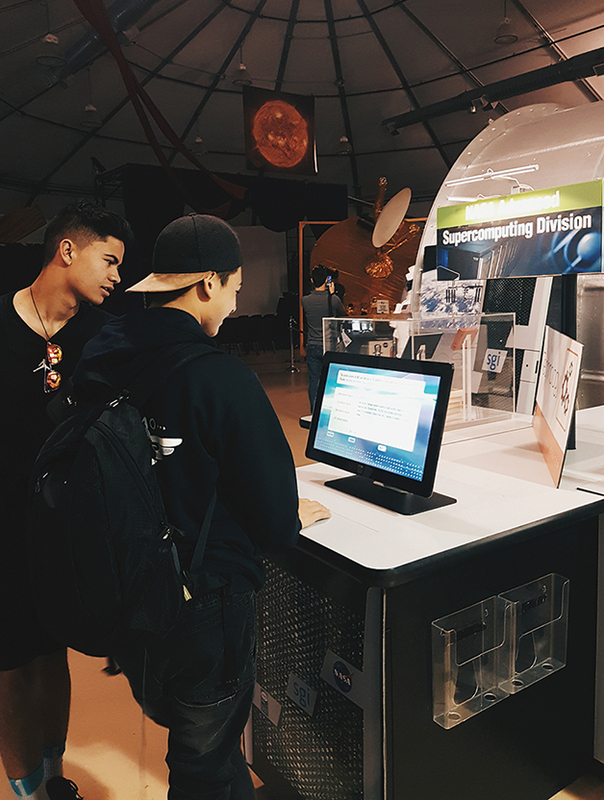 Above: Nathaniel and Kiliona check out the super computer at NASA. Two experiences were highlights for me. The first was going to Uber, the ride sharing company which has grown around the world. I got to see how almost every job in this day and age is involved with technology and how a company like Uber isn’t just focused on the technology side but also the human side. The message that all three speakers there had was that you don’t need to know what you want to do when you leave high school or college. With the right attitude you will find something you are good at and really enjoy. The other highlight was meeting the group and the speakers. We all bonded so well. It was also really special for us to be able to say, “We are Māori in the United States”. And the speakers had such different backgrounds and opportunities, and yet all got to a position where they were doing something they loved and were getting paid to do it. It was incredibly inspiring. On June 21, I submitted my application form and video to Ngāi Tahu. I was so nervous and even more so, as the phone call came. Three months later, after an amazing noho marae meeting people I will never forget, there I was running around Stanford University, walking through the Facebook campus, and meeting all these amazing, inspiring people. Now that I’m back, I have massive insight as to where I want to go, who I want to be and what I want to achieve. I’ve never really thought about what it is to be Ngāi Tahu, but this trip not only taught me about my future, it taught me about Māori leadership, Māori empowerment, and the massive family I have. What am I going to do with this information? Information always needs to be shared and my goal is to share it with my whānau as well as schools and high schools around my area. None of this could have happened without Ngāi Tahu, Callaghan Innovation, and all the sponsors who gave rangatahi from around New Zealand this amazing opportunity. I’ve always been scared of the future but with the knowledge I have gained and the people I have met, I now have an idea. Ideas to me are seeds. All I need to do is plant them, and watch as they grow before me. 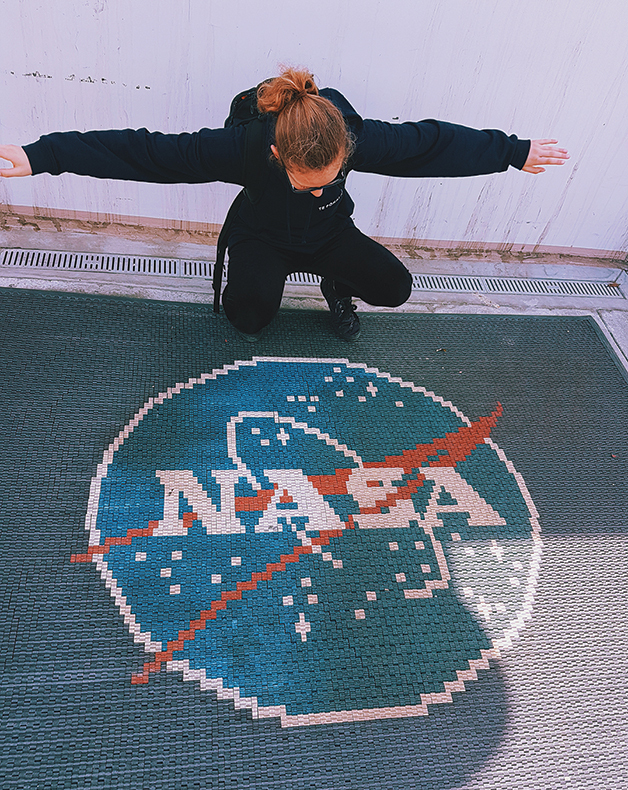 Above: Katherine spreading her wings at NASA. I was raised in te reo Māori at home, educated in Te Aho Matua and te ao Māori. Despite growing up away from my own papakāika of Ōtākou, I have a strong connection to my home and my iwi. However I know that I am one of the lucky ones and that many others have little, or no connection whatsoever. I made it my own personal mission to keep this take in my sights and see if there are ways that I might be able to help strengthen the connection of more of our rakatahi to our iwi and from our iwi to more of our rakatahi out there using ways that I know well and that I am passionate about – te taiao, te reo me ōna tikaka, mahi toi and mahika kai. In America, visiting some amazing start-ups and getting to hang out with some inspirational and determined people who made it their job to problem-solve reinforced that whatever the solution, we as young people and as an iwi need to look at how we can problem-solve for ourselves while sustaining ourselves culturally, economically and environmentally. Part of the problem-solving needs to be about creating jobs and opportunities for each other so that we ‘bounce the dollar’ amongst our own iwi, hapū and whānau – first, making our own smaller communities and hapū thrive before we can even begin trying to fix bigger, more global issues. I don’t know how to do this (yet), but for me being part of Te Pōkai Ao has pushed me to think about the things that I can do to make this happen. Being part of Te Pōkai Ao has got me thinking more about how growing up and maintaining connection to tikaka Kāi Tahu while living away from the iwi isn’t always easy for everyone. Especially for those who haven’t been exposed to te ao Māori at all. 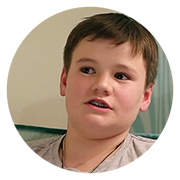 How can we help them strengthen their hinengaro Māori? How can we as an iwi help our people to do this? … especially our rakatahi, and how can we do this in ways that might give our people income and opportunities?